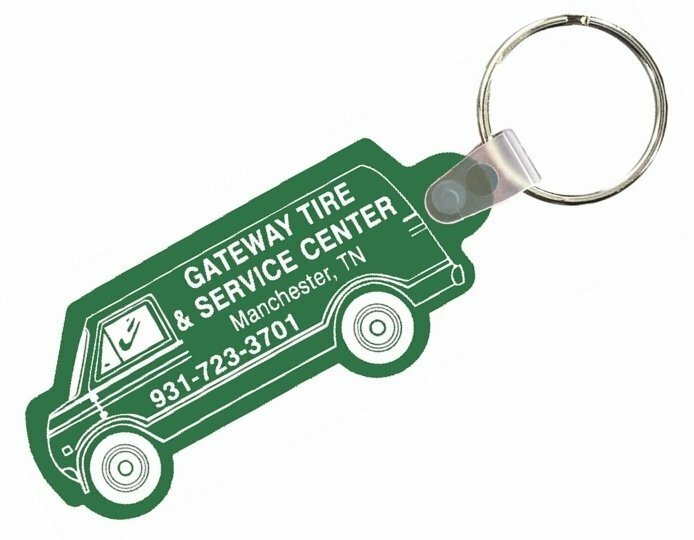 Get your advertising printed on flexible Delivery Van Keychains. Apps are any type delivery services, advertising keychains. Features include thick soft vinyl with metal split key ring. Overall size of keychain is 1 1/4" wide x 2 3/4" high. Delivery from date of actual order is 2 to 3 weeks. Price includes a one color print one side 7/8" w x 2 1/8" h.
$45.00 and a running charge of $.22 each. Factory stock delivery van art is included. Logo requires Illustrator ai, eps, pdf art.